The Anglican church originated in England but is now a worldwide communi on of 38 provinces with 80 million members.The Anglican church is both catholic and reformed. It is catholic because it bases its teachings on the early creeds, or statements of faith; because it gives a central place to the sacraments of baptism and the Eucharist, ordained by Christ; and because its bishops trace their authority directly from Christ’s apostles. ‘Catholic’ literally means universal; these three features of Anglicanism have been regarded from the earliest centuries as features that are, or should be, universally present in all branches of Christ’s church. 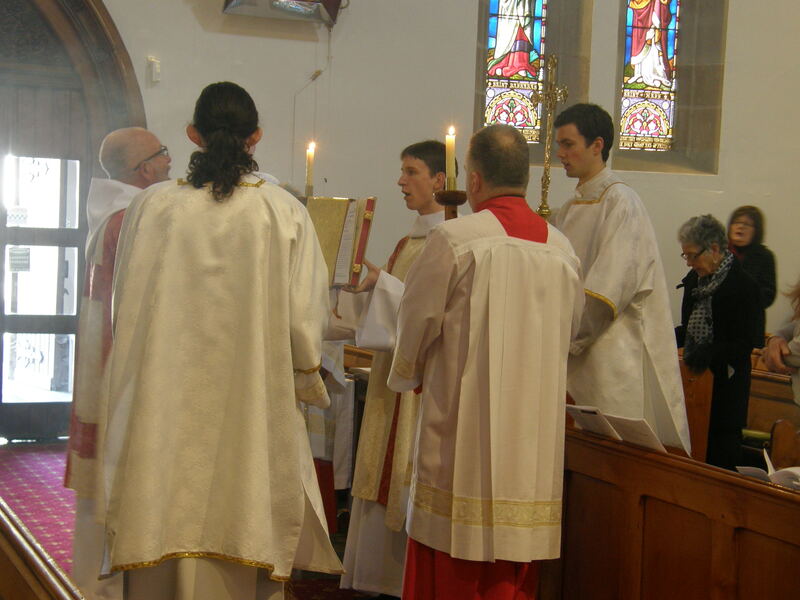 The Anglican church is reformed because it believes that all its essential teachings must be and can be established by the authority of the Bible. Though we embrace the traditions of the church, the Bible is the ultimate authority for Anglican teaching, and it has a prominent place in our worship. Some parts of the Anglican church emphasise its catholic nature, some its reformed or protestant nature. 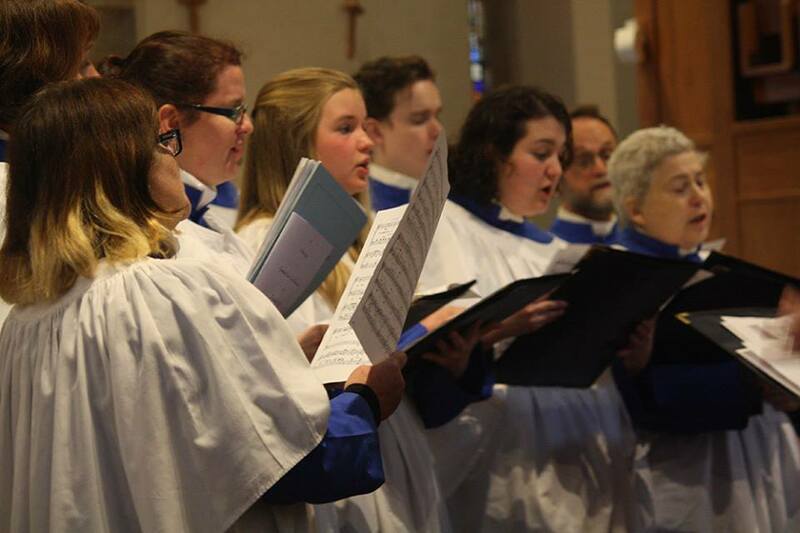 Anglicanism has a tolerance and openness that accommodate a wide spectrum of emphases. All Saints South Hobart stands in the catholic tradition of Anglicanism. 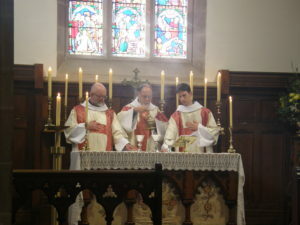 This tradition is also known as ‘Anglo-catholic’ or ‘high church’. 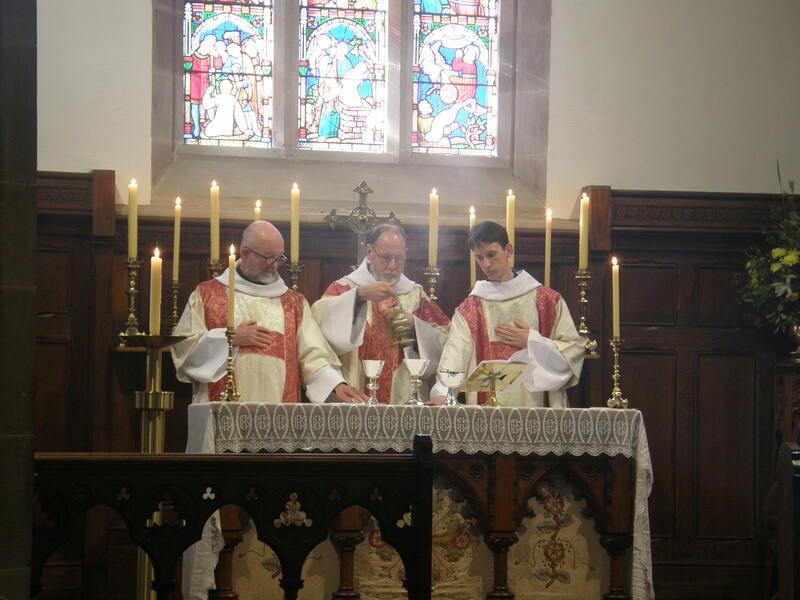 Our worship gives prominence to the sacraments, especially the Eucharist, also known as the mass or holy communion. Following Christ’s commandment on the night before his death, we consecrate bread and wine to become his body and blood. In doing this we unite ourselves to his sacrifice on the cross and to our fellow Christians, who give continuing existence to the body of Christ in our world. We pay the highest reverence to the body and blood of Christ offered for us and given to us in the Eucharist. This reverence for th e real presence of Christ explains the most recognisable features of worship at All Saints—the rich ceremony and beautiful music of our principal services. The singing of the choir, the scent of incense, the icons and flowers that decorate the church: all these, and more, are symbols for us of God’s presence in this holy place and within us. They also communicate that presence through our senses. Our style of worship seeks to fulfill the command of the Psalms: ‘O worship the Lord in the beauty of holiness’. The beauty is dedicated to the glory of God; it is not an end in itself. Many of our services are quite simple, but no less reverent in spirit. These include Evensong and Taize prayer, which are said in the church on Sunday evenings and include extensive readings from the Bible. Catholic Anglicanism reveres especially the wonder and mercy of Christ’s incarnation, the fact that God chose to be born as a human being. On the evidence of that act, we believe that God’s love is directed towards every human being, without exception. We do our best to re-enact God’s love in our own lives. We seek to find Christ in the stranger and the persecuted, and to share the love of God with them. In pursuit of that aim, we act generously to the marginalized and homeless, many of whom find their way to us in South Hobart. We welcome into our worship and into our parish community, without judgement, everyone who wishes to join us. Our inclusiveness is another way of expressing the ideal of the Anglican Catholic: we aim to be a Church For All.